Welcome to the SpecDrum official website. 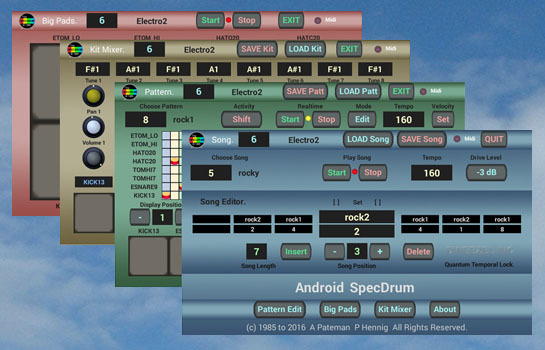 from the inventors of the name and the software drum machine. The Android SpecDrum is on GooglePlay store. measures and displays HAL audio delay or latency on your android device. It has screen pictures of the new SpecDrum and the user manual. The Android SpecDrum currently runs on Tablet and Tv box. Kitkat or Greater Operating System. Phone version currently under development.